Live CELSA Group ™ - Are you passionate about challenges? In CELSA Group™ we want you to live the experience of being part of the Group, so that you can share exciting challenges and enjoyment as we do. We feel committed to the development of our team of people and creating opportunities and equitable conditions for people to grow and improve their professional and personal balance. Together, we build an organization that aspires to become an extraordinary place to work. Come and live CELSA Group™! 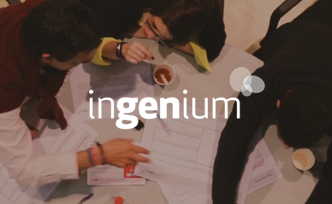 Ingenium is a talent support program born from the hand of CELSA Group ™. It seeks to lead and face the transformation that Industry 4.0 poses and especially the steel sector. Employees, entrepreneurs and startups from around the world are called to present their most innovative ideas to face the current and future challenges of the steel industry. CELSA Group ™ firmly believes that new technologies are the key to reinventing the sector and, therefore, the Ingenium program is an active part of this great digital transformation. 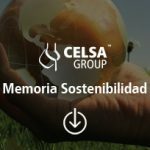 • Mentoring by the senior managers of CELSA Group™. • Value contacts for the development of your "startup". • A future strategic relationship with the Group. • A possible participation of CELSA Group ™ in the "startup". • Real possibilities of escalation within the company if the solution proves effective. 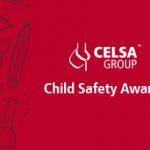 The Child Safety Awards are prizes for the youngest members of the CELSA Group ™ family. The objective of these awards is to reaffirm that in the Group nothing is more important than the safety of people. On the other hand, this initiative allows us to bring the Group closer to our family environment. The theme of the contest is the safety of parents at work, so that children should reflect on a drawing how their parents should protect themselves during their day to day. As our next step, we encourage the youngest participants to record a video with their parents explaining what they have drawn and what safety measures their parents must take during the workday so that they are completely safe. 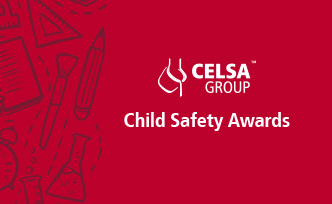 For CELSA Group ™ recognitions are a fundamental aspect and an opportunity to value all those initiatives and attitudes that make the Group a better place. The awards allow us to recognize the people’s efforts and value those ideas that have had a direct impact on the Group and have helped us grow every day. The prizes awarded also allow us to highlight the most human factor of our team and highlight those behaviors that identify the most with our values. For CELSA Group ™, the acknowledgments are a source of pride and a great reason to genuinely thank people of the Group for their good work and dedication. The “Celsis” are corporate coins that are awarded to the winners and finalists of the CELSA Group ™ awards. With them you can exchange a series of products and services related to training, health, work-life balance or technology. This currency also can be exchanged for any kind of solidarity initiatives that may bring the company closer to its people. 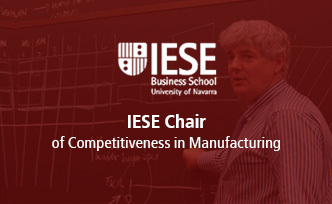 The CELSA Chair of Competitiveness in Manufacturing of IESE aims to develop research, generate ideas and disseminate knowledge around competitiveness in the industrial sector. Because of this commitment, and its concern for the industrial decapitalization of the country, the CELSA Chair of IESE develops powerful research on the industrial sector and its competitiveness. Also, the Group has rewarded the best factories in our country since 2009. • Encourage interest in the manufacturing industry. • Develop teaching material for senior management courses. • Disseminate the role of industry in the country's economy among the media. • Promote good industrial practices through the creation of an annual prize. • Collaborate with other international centers in the generation of ideas and dissemination of knowledge about the manufacturing industry.